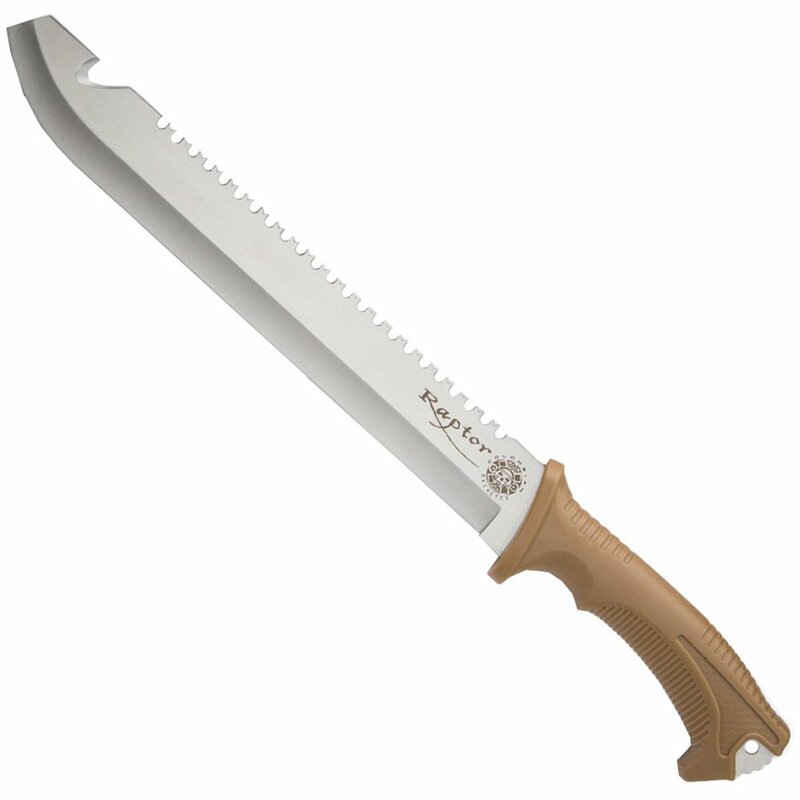 Brave your backyard or the wild with our Colombian Raptor Machete! It has a ferocious 11 3/4" 3Cr13 stainless steel blade which has a sawback and gut hook. There’s no denying that this machete is up to any job you put it front of it! The ergonomic brown ABS handle is built to last and gives you a firm grip when you’re working the blade. It also has a lanyard hole. A tough nylon belt sheath protects the blade and lets you carry the machete anywhere.